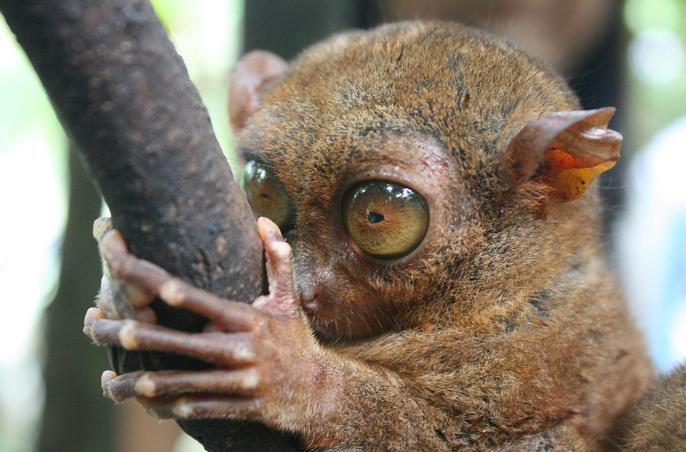 The tarsiers of the tarsiidae family are small primates with enormous eyes. 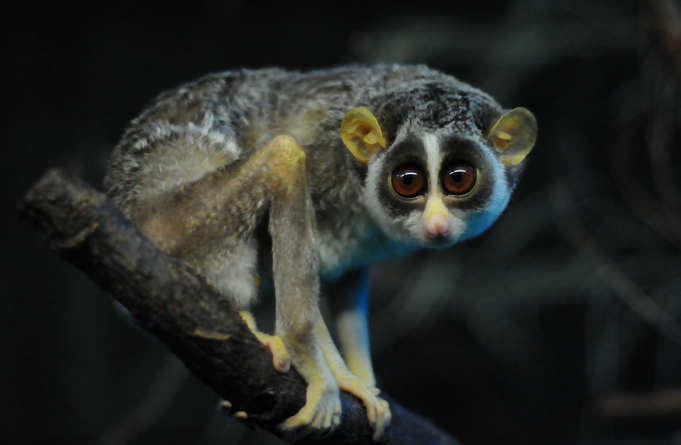 Those enormous eyes help them to see in the dark, which is particularly useful when you are a nocturnal primate. These are such odd looking animals with their tiny bodies, only about 15 cm in length and their long, bald, tails, which are about 25 cm in length. I have the extreme pleasure that I get to learn all about the lorisidae family by a well-known expert on one of the species in the family. 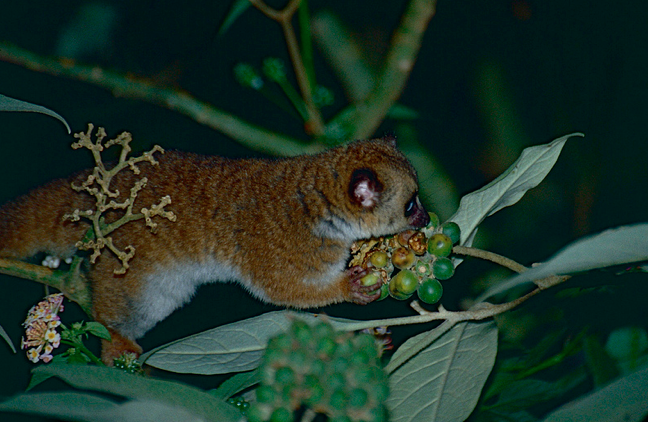 Species within the lorisidae family include lorises, pottos and angwantibos. These primates are a little different than the families I have been talking about recently. I was mostly discussing catarrhines and now we have officially moved on to strepsirrhines. Remember what I said about catarrhines, strepsirrhines, and platyrrhines? No? That’s okay! They are words that refer to different groups of primates, mostly based on their noses, of all things! Strepsirrhines, like those species found in lorisidae have wet noses, like your dog or cat at home, rather than dry noses like we have.